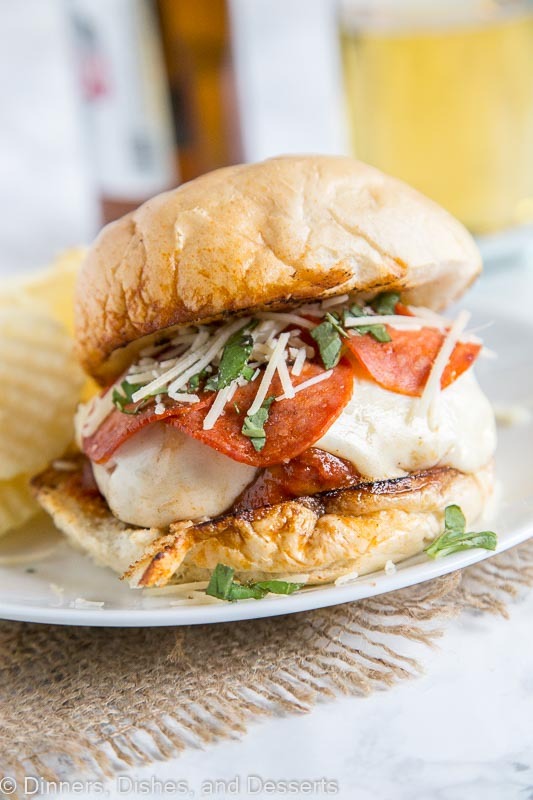 Pepperoni Pizza Burger – Combine 2 favorites with this easy burger recipe. 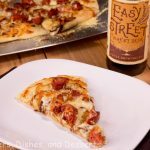 Sausage and beef make up the burger, top with pizza sauce, cheese, and pepperoni for an epic burger night! I have joining in #BurgerMonth put on my Kita from Girl Carnivore for a few years now. Every year it just keeps getting bigger and bigger. 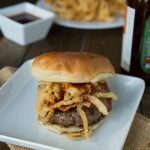 I think this year we have over 100 burger recipes being shared all month long. Follow #BurgerMonth on social media to see them all! Plus a HUGE giveaway for you guys! 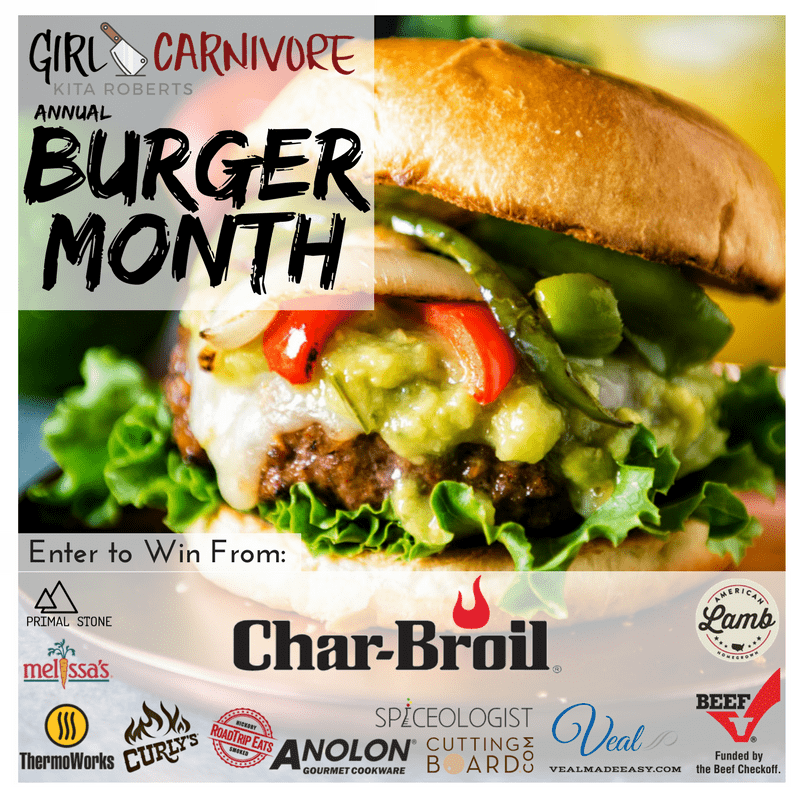 To enter go to BurgerMonth.Com and see all the details. 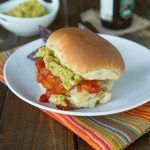 In the past I have made a Chicken Taco Burger. 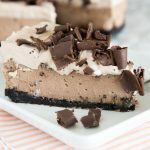 Only 4 ingredients in that one, so great for busy days. 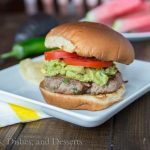 A Jalapeno Turkey Burger, which is one of our favorites. My son loves turkey burgers, and when you add heat he is super happy. Then I made Chicken Parm Burgers one year. 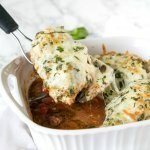 I love chicken Parmesan, so that was an easy one to come up with. This year though. 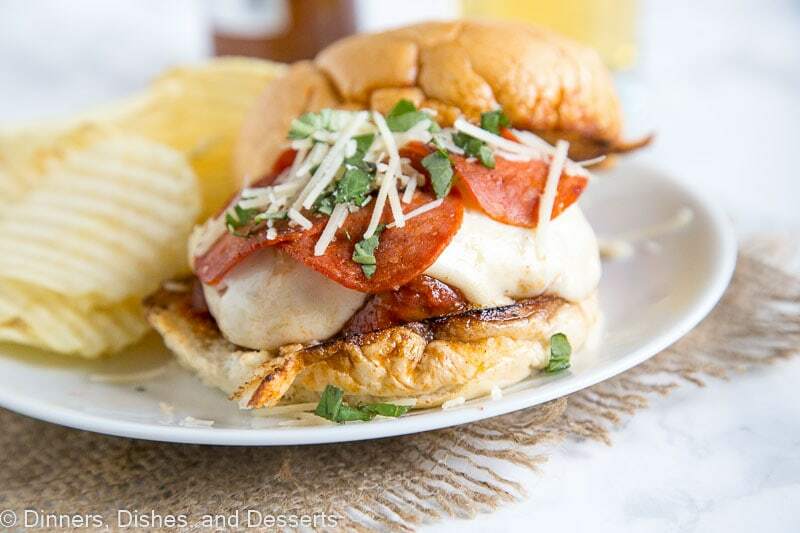 Pepperoni Pizza Burgers. 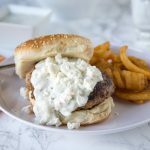 I think it tops all burgers I have on the blog. Well it probably rivals the 2am Breakfast Burger. I wish I could take credit for the idea for this burger. But all credit has to go to my 12 year old. I was asking my family if they could make any kind of burger what would they put on it. Well a pizza burger was the first thing out of my son’s mouth. So I went with it. 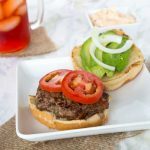 To make this pepperoni pizza burger, I used equal parts ground beef and Italian sausage for the patty. 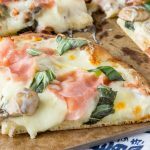 Then I topped it with pizza sauce, fresh Mozzarella and pepperoni. It was over the top amazing. 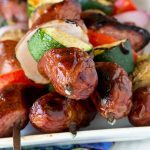 So much flavor with the sausage in there! 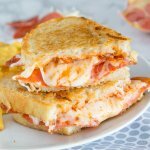 I first made this pizza burger when my son had a friend over for dinner. His friend staying was a very last minute decision, and this was already on the menu. I had actually formed the patties earlier in the day, so all I had to do was grill them up at dinner time. Well, we like things spicy. 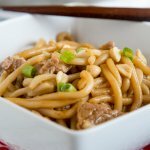 So I used hot Italian sausage. You can see where this is going, right? My son’s friend doesn’t do heat. I didn’t know this about him. In hindsight I might have guessed, because I know his mom HATES anything with heat. Well, 3 glasses of milk later, he finished about 3/4 of his dinner. He kept saying how good it was and he didn’t want to stop. But he just couldn’t take anymore. So we will see if he ever stays for dinner again. 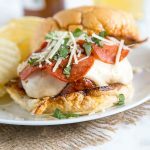 But when you make this pepperoni pizza burger you can use mild or hot sausage, that is totally up to you! 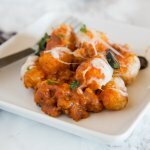 Just make sure you add it to the menu soon, because your family will love it! 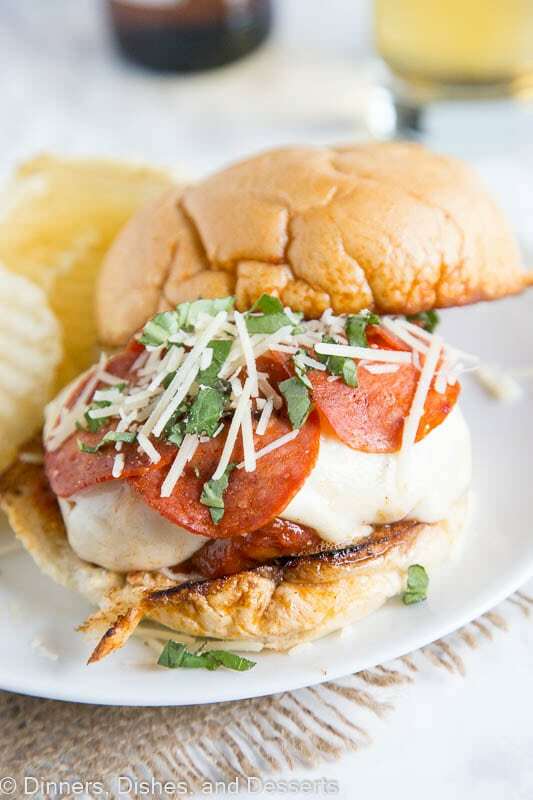 Pepperoni Pizza Burger - Combine 2 favorites with this easy burger recipe. 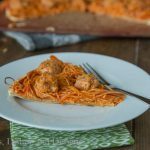 Sausage and beef make up the burger, top with pizza sauce, cheese, and pepperoni for an epic burger night! 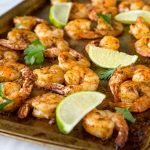 Preheat grill or a large skillet to high heat. In a large bowl combine ground beef and sausage until well blended. Form into 6-8 patties, depending on how big you want them. Grill the burgers for 5-6 minutes per side. Or until cooked through. Meanwhile, butter each bun and sprinkle with garlic salt. Lightly toast the buns on the grill while the burgers are cooking. 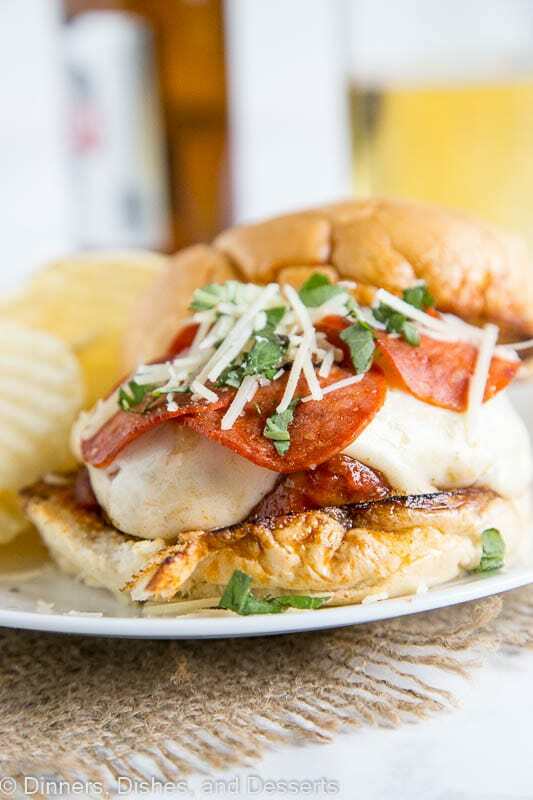 Top each burger with a spoonful of pizza sauce, slices of Mozzarella cheese and 4 slices of pepperoni. Close the grill or cover the pan and let the cheese melt. Serve burgers on buns, garnished with basil and Parmesan cheese if desired.